Map maker : MOLL, H.. Date : London, c. 1700. Size : 14.2 x 16.7 inches. / 36.0 x 42.5 cm. 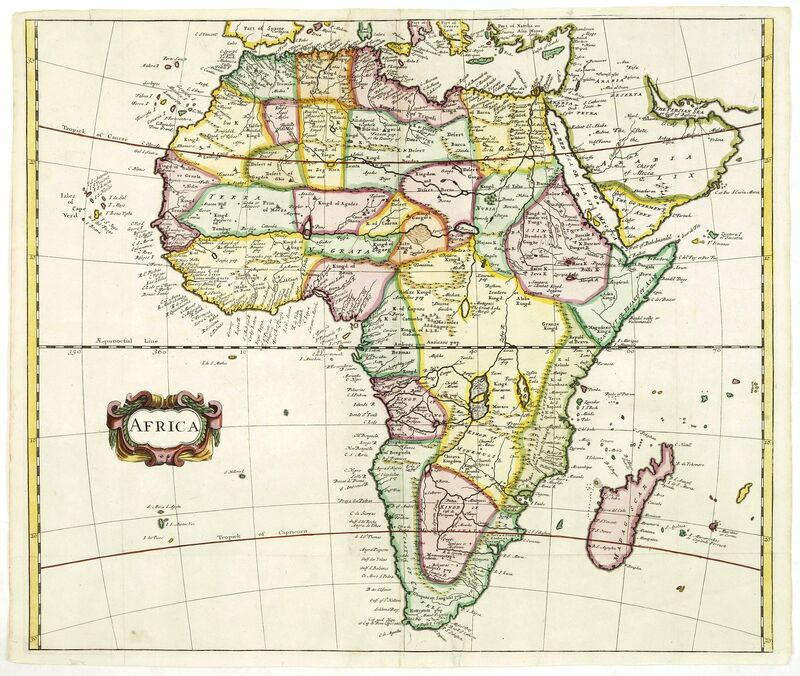 Description :Nice map of Africa giving a wealth of information. Some names are translated in to English.